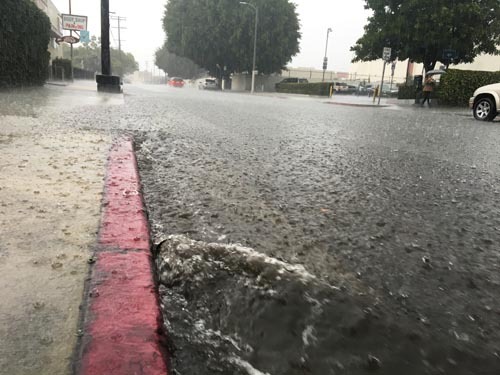 Angelenos needing El Niño related service can now call the city’s 311 information line 24 hours a day for assistance, announced Councilman Jose Huizar who introduced the motion authorizing the service expansion during heavy storms. 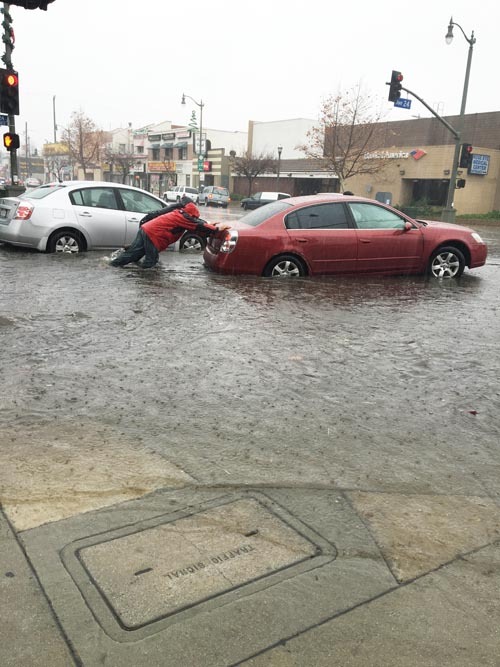 Residents are encouraged to call 311 if they see or experience any El Niño related issues, such as power outages, downed powerlines, blocked storm drains, flooding or traffic lights going out. The city offers an emergency alert notifications via text message, voice message, or email by registering with Notify LA. This week’s freezing temperatures and forecasted rain are a chilly reminder that heavy El Niño storms are on their way. 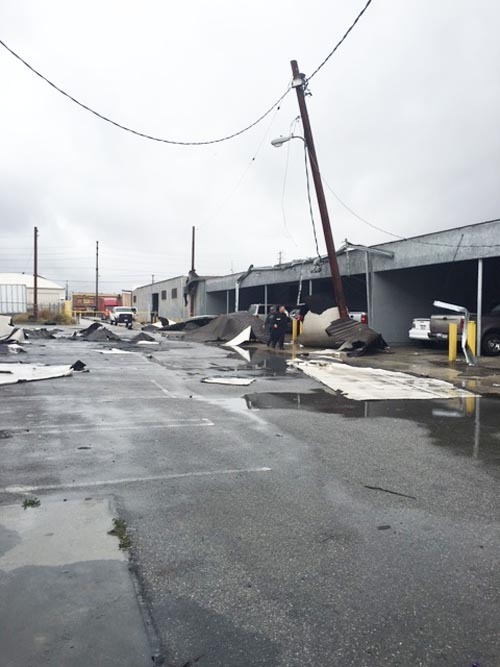 From authorizing emergency funding to shelter the homeless to clearing debris from storm drains and catch basins, the City of Los Angeles has intensified efforts to minimize the damage that too often comes with severe weather conditions. Forecasters at the National Oceanic and Atmospheric Administration expect El Niño to occur between December 2015 and February 2016. That coincides with the Los Angeles region’s rainy season. In October, an unexpectedly heavy downpour caused flash flooding in Boyle Heights, leaving over a dozen cars underwater and at least one basement flooded. 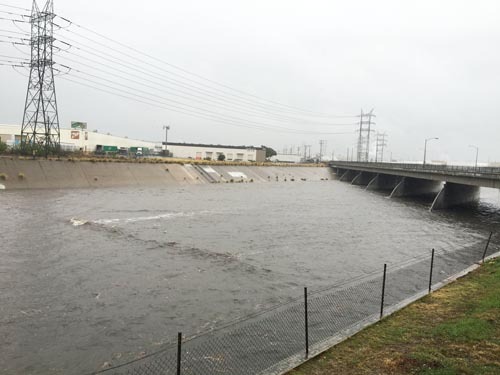 Storm drains were overwhelmed by the sheer volume of water, made worse by debris, including a mattress left by the curb that clogged the drain, Los Angeles Bureau of Sanitation said at the time. In anticipation of more of the same, the city’s public works department has been clearing debris from storm drains and working with the County to ensure the region’s flood management systems are ready for severe weather conditions. To keep trash from falling over or overfilled trash bins from clogging storm drains, sanitation bureau officials are considering delaying trash pick up when heavy rain is expected. Los Angeles has also set up a website – www.elninola.com – where residents can get tips on how to prepare for El Niño as well as report problems such as fallen trees or clogged storm drains, and get breaking emergency information. Recognizing that California’s historic drought has left many hillsides parched and barren of vegetation, the city is warning residents in those areas that the land may be unable to absorb large amounts of rain, increasing the chance of flooding and mudslides. That’s what happened this past Sunday night, when a 35-mile stretch of the northbound Golden State 5 Freeway near Castaic was closed for four hours after a fast moving storm caused mudslides in the area, according to the California Highway Patrol. 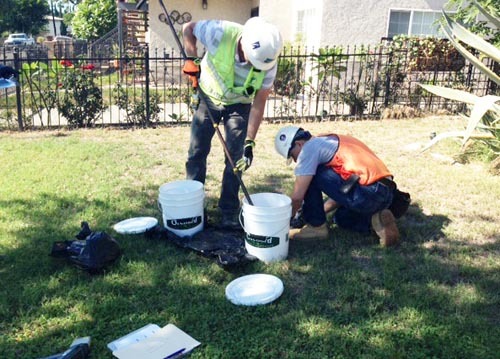 According to city officials, city workers have been cleaning out the city’s 40,000 catch basins and 70 debris basins, a process that will continue throughout the rainy season. Yet, despite all the planning, disasters can still happen. Last Friday, the Los Angeles Fire Department announced it has teamed up with county firefighters to provide emergency monetary help to disaster victims. Under the Supplying Aid to Victims of Emergency (SAVE) program, local firefighters can provide “on-the-spot aid” to families and individuals who suffer substantial property loss, like a fire, earthquake or flooding. LAFD Chief Ralph Terrazas told EGP, SAVE is intended to offer a little immediate assistance through the first hours following a disaster in the form of a $100 MasterCard. 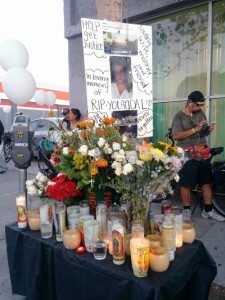 The card is intended to help victims pay for a place to spend the night or to buy clothes or food, Terrazas explained. 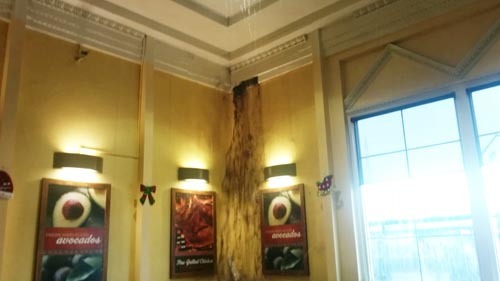 “Anytime there’s 25 percent in [property] damage, we will provide the card,” he said. If more funding becomes available, the amount on the cards might be increased, the chief said. Residents worried about flooding can go to their local fire station to get sandbags and sand. LAFD has 200,000 sandbags and 250 tons of sand available, according to the fire department. Last week, FEMA Region 9 office released a Severe El Niño Disaster Response Plan for California, Arizona and Nevada. The agency predicts debris flows, or mudslides and landslides will be common in burn scarred areas. The impending severe weather conditions have also raised concerns for the city’s homeless population. Councilmembers Gil Cedillo (CD-1) and Jose Huizar (CD-14) are pushing to increase the number of homeless shelters in their districts. On Tuesday, Cedillo asked the city’s Dept. of Recreation and Parks to open the currently vacant, city-owned Bridewell Armory in Highland Park as a temporary winter shelter. 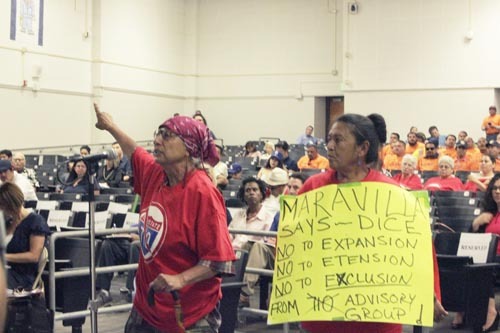 “With the low temperatures and the El Nino approaching, we hope to use that location as a shelter,” Cedillo spokesman Fredy Ceja told EGP. 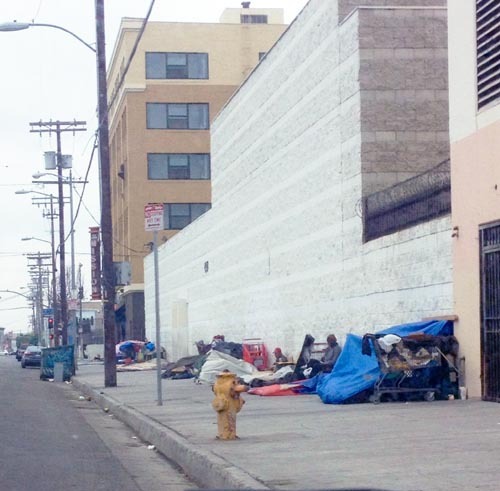 “During the 1987 El Niño, the Los Angeles County Board of Supervisors approved a program to open California National Guard armories during the cold weather” if there is a shortage of shelter space; Cedillo is asking the city to do the same. Last week, the City Council approved a motion by Councilmembers Huizar and Marqueece Harris-Dawson (CD-8) to release $12.4 in emergency homeless relief funding to open more shelters, which could include the Armory. City officials are urging Angelenos to stay alert by registering for the city’s mass emergency notification system at www.NotifyLA.org. People who register will receive information via voice, text or email message alerts if their designated geographic area is impacted by an emergency. Residents and stakeholders are also being encouraged to report blocked storm drains or other flood control problems by using the MyLA311 app or calling 311. —Monitor radio and TV news closely for information about weather conditions, flooding in your area and safety precautions being advised. —Be prepared to leave immediately if an evacuation is ordered. Have alternate evacuation routes out of your neighborhood. —Stay away from flood channels and flowing rivers. You could be knocked off your feet in as little as six inches of water. —Don’t try to cross flooded areas and never enter moving water. Turn around—don’t drown. —If your home has been flooded, protect your family’s health by cleaning up right away. Throw out foods and medicines that may have been affected. —Stay away from steep slopes that may become unstable when saturated. —Never touch a downed power line, which can cause serious injury or death. Call 9-1-1 to report it. —Look for tilted trees, telephone poles, fences or walls, and for new holes or bare spots on hillsides. —If trapped in your vehicle, stay with it. If possible, relocate to the hood if water continues to rise. —Be alert when driving. Roads may become blocked or closed due to hazards. —Report small problems as soon as they occur so they don’t turn into bigger problems.